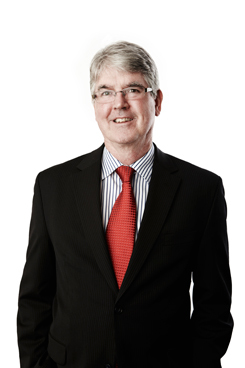 Chris has been a partner of the firm since 1988 and has specialised in the area of litigation and dispute resolution throughout that period. For over 35 years, Chris has developed an extensive, broad-based practice representing a wide spectrum of industry and private clients. These have included banks and financial institutions, insurance companies, registered clubs, building and construction companies, as well as individual professionals and estate executors and beneficiaries. Chris’s practice sees him involved in all civil jurisdictions, acting for parties on either side of disputes in a diverse range of matters including commercial and insurance litigation, shareholders and contract disputes, defamation proceedings, discrimination claims and probate and estate litigation.